Some time back I wrote and published a young adult fantasy ebook called 'Deliver us from Evil' under the pen name of J A Norton. Well, I've since redesigned the book, updating it and adding a new cover, and hopefully making it a more superior product. 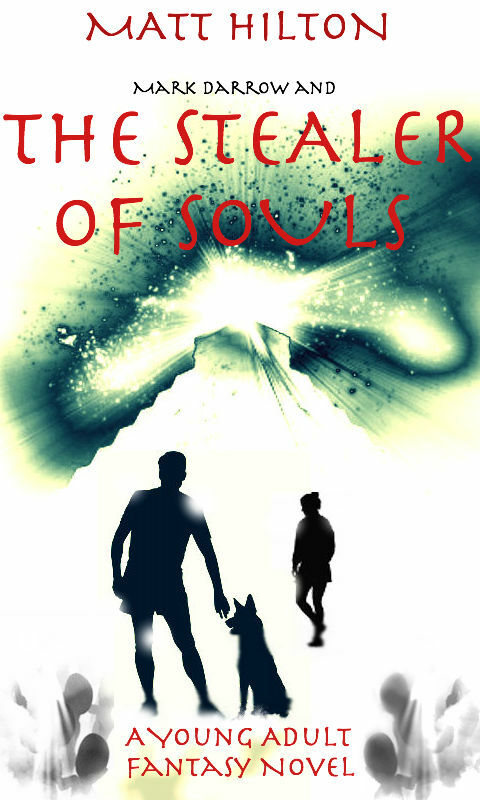 The ebook is now available via Kindle under the new title 'Mark Darrow and the Stealer of Souls' by Matt Hilton. It is written in the tradition of Percy Jackson, Harry Potter and the Darren Shan books, and is aimed at older children, young adults, or indeed adults who retain the spirit of magic and adventure. Remember don't buy it if you already have the previous edition called Deliver Us From Evil. There is something strange going on in Larchwood, but for Mark Darrow, Shax and Amy, things are about to get stranger, and more frightening. Skathalos the Ravager has designs on the Earth, intending taking it as his own domain, and bringing it to ruin the way he has the hidden realm he holds under his evil rule. When Shax is snatched by Skathalos it's down to Mark and Amy, and a collie dog called Rip - who is not all he seems to be - to enter the forbidding realm to save their friend and an entire race of beings from evil. Action, adventure, and terror await the trio along a path fraught with danger and terrible creatures: Scatters, Harpies, Rock Slugs, and an army of walking creatures of dust and clay. But they are nothing compared to the monstrous Firbolg giants, The Wall of Souls, or the terrifying might of Skathalos - a demon too ferocious to remain in Hell. But face them Mark and Amy must, if they are to save Shax, the Tuatha people, and maybe even the entire Earth from the impending End of All Days. Top work getting in The Strand, getting a short in a print magazine nowadays seeing as there aren't that many quality ones is cracking. Cheers, Lee. Must admit getting in the mag gave me a little buzz. Christie. many thanks. Hope you enjoy/enjoyed the book.